Bill Pyle, Supervisory Wildlife Biologist at Kodiak National Wildlife Refuge, sent photos and specimens from a large defoliation event on deciduous trees and shrubs on western Kodiak Island. Defoliated hillside, Uyak Bay, Harvester Island vicinity, Kodiak National Wildlife Refuge, Kodiak Island, Alaska. Photo taken on 6.July.2013 by Stacy Studebaker (USFWS). 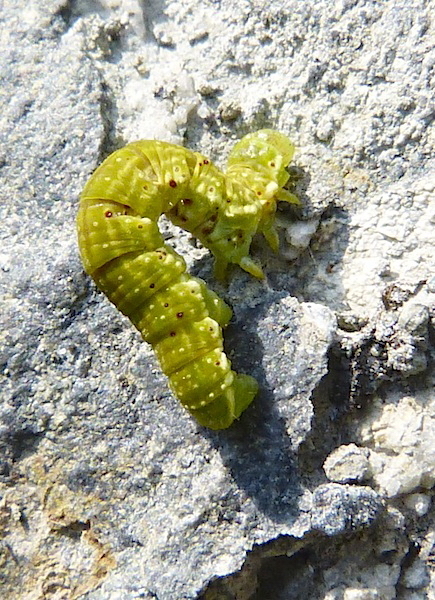 Geometrid caterpillar, Uyak Bay, Harvester Island vicinity, Kodiak National Wildlife Refuge, Kodiak Island, Alaska. Photo taken on July 9, 2013 by Stacy Studebaker (USFWS). 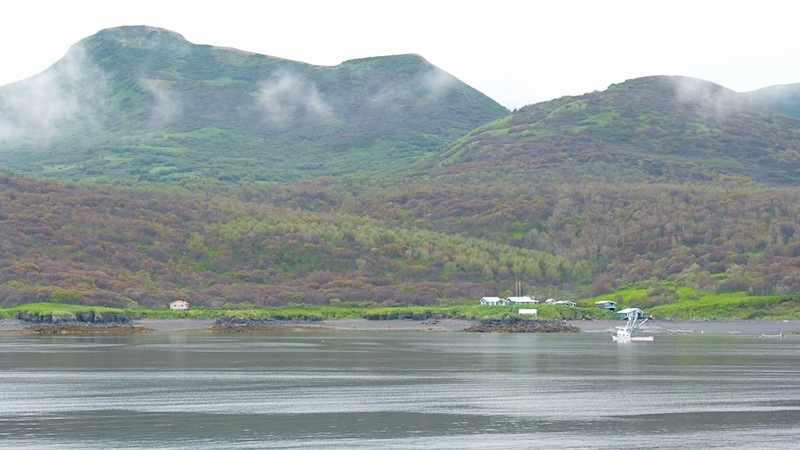 Defoliated hill side, Uyak Bay, Harvester Island vicinity, Kodiak National Wildlife Refuge, Kodiak Island, Alaska. Photo taken on July 8, 2013 by Stacy Studebaker (USFWS). 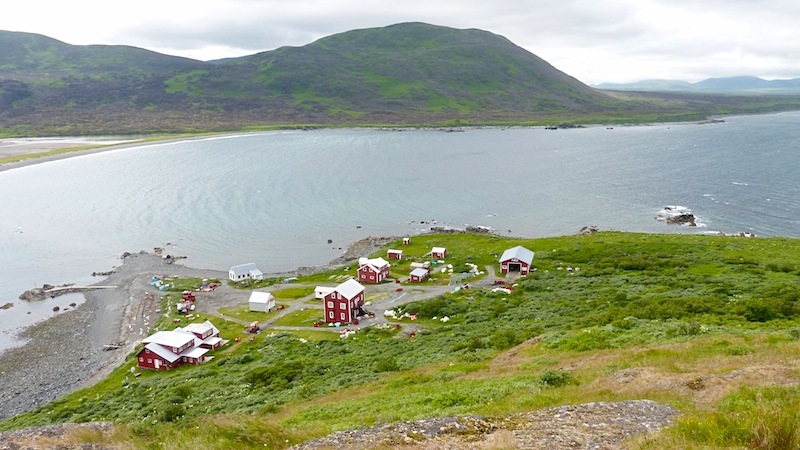 He wrote, “this event apparently encompasses tens of thousands of acres of mixed deciduous forest and woodland of north and east aspect mountain slopes between sea level and treeline limit (~1,800′ elevation span) of western Kodiak Island. Primary tree species affected include Sitka alder, Kenai birch, and black cottonwood. A few records for specimens collected are available at the URI below.